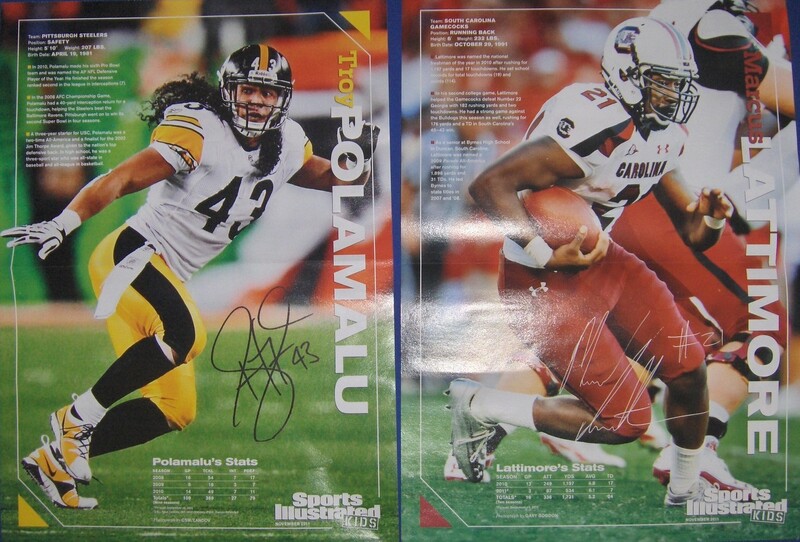 Roughly 10 1/2 by 14 1/2 inch double sided mini foldout poster featuring South Carolina superstar running back Marcus Lattimore and Pittsburgh Steelers All-Pro safety Troy Polamalu. Inserted exclusively in the November 2011 issue of Sports Illustrated for Kids. MINT.